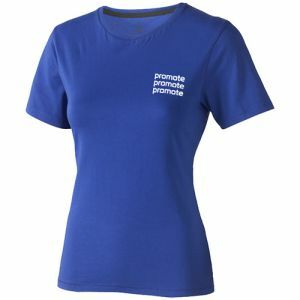 Branded T-Shirts printed with your company logo from the low bulk order quantity of just 25 units. 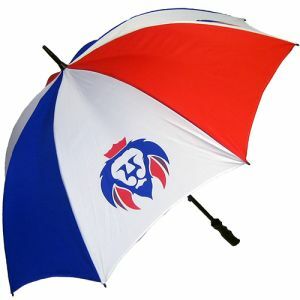 Perfect for around the workplace, at exhibitions or fundraising events or even as casual wear for everyday use. 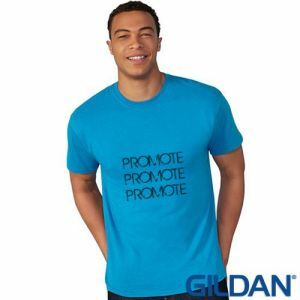 Promotional t-shirts are the most popular and most visible item of clothing in the world today, with over two billion t-shirts sold worldwide every year. Low cost yet practical with a large branding area perfect for getting your campaign message seen on the move. 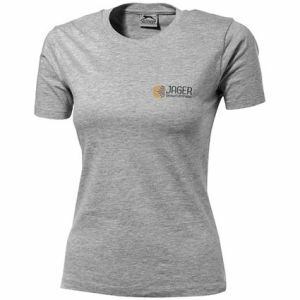 Most of our UK printed t-shirts are available in a unisex fit but we also have women’s fitted styles or children’s sizes to suit all businesses. 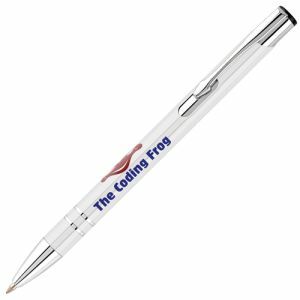 Printed in spot colours or full colour via various printing techniques depending on your budget, the intended use or the quantity you need. 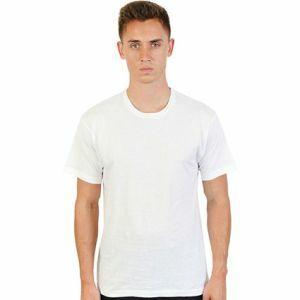 Promotional t-shirts are a choice of branded merchandise with a host of colours on offer, as well as various styles or material weights, from our budget-friendly printed Value Cotton T-Shirts to our high-quality V-neck t-shirts in men’s or women’s fit, made from 95% organic ringspun cotton. They can all be easily transformed into mobile billboards printed with your logo and reused again and again, advertising your company name with not only the recipient but everyone who passes them by. 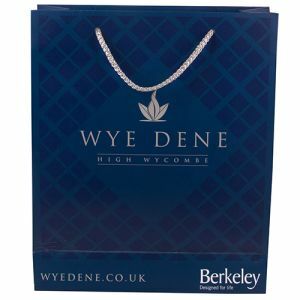 Just a glance around will show people flaunting some of the most recognisable brands on the clothes they wear, without realising that they are an advertising vehicle for a marketing campaign. In most cases, these people have even paid top money to show their support or success with a corporate printed t-shirt. Any successful business or event runs more smoothly when members of staff or participants are clearly marked out. Charity events, promotional events and exhibitions, all dress their crew in matching t-shirts, great for a solution to low-cost uniform. This also creates an organised, professional feel. 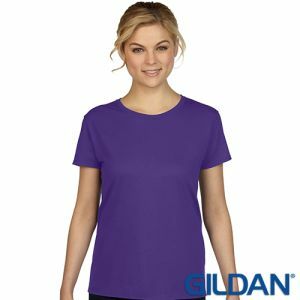 Whatever the intended purpose, it can be a daunting choice, especially as promotional t-shirts often have to suit the varied shapes and sizes of the different people that make up your staff or clientele. 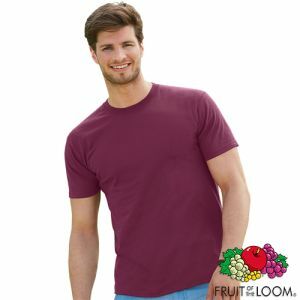 For a tried and tested customer favourite, our Fruit of the Loom Valueweight T-Shirts are our best-sellers, widely used in the industry and known for their fine balance of practicality, extensive colour choice and great low prices. They can even be dispatched in as little as 5 working days for tighter deadlines. 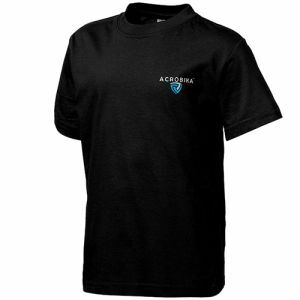 Plus, they come from a reputable manufacturer that specialises in supplying branded t-shirts and corporate clothing around the world. 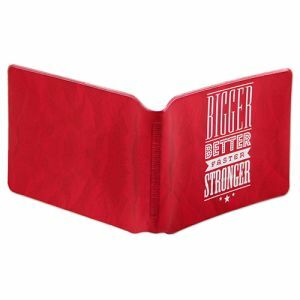 We understand that making the right choice of promotional gift or branded workwear is important for the success of your campaign, so we offer a large choice of trusted, popular industry brands you can put your faith in. 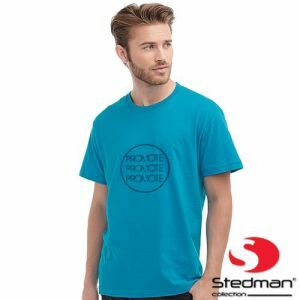 Not just Fruit of the Loom t-shirts but Gildan t-shirts and AWD t-shirts, but manufacturers such as Stedman, Slazenger and more, used across the country by all and known for their performance and value – a must for any promotion. If you’re worried about placing a bulk order on a t-shirt size to fit all, don’t worry. 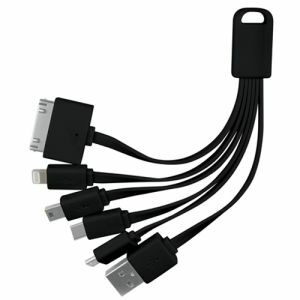 The minimum order quantity is 25 units per product, but you can split that amount between any of the sizes available. 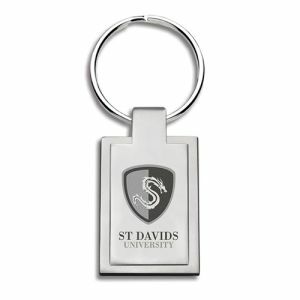 This makes them great personalised business gifts or giveaway ideas to ensure you cater to everyone. 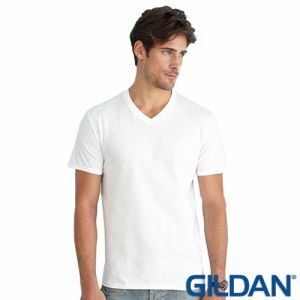 There are often a wide selection of printable areas on a single corporate t-shirt. 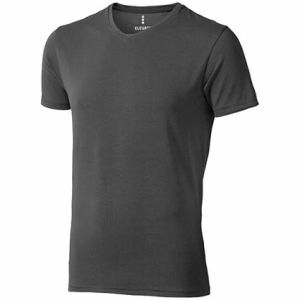 You can print your logo onto most areas of a t-shirt (subject to size) as long as it’s not across a seam. So if you can’t see the branding location you’re after, just contact us for more options or information. 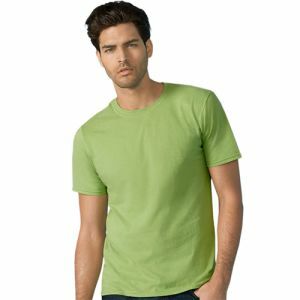 It’s also worth noting that within the industry, from any supplier, coloured t-shirts most-often cost more to print than white ones. When printing onto a coloured garment, we have to set down a base layer so that printed colours come out with their intended vibrancy, without the fabric tone affecting the print, this is known as flash curing. 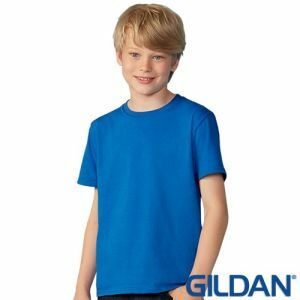 An additional setup is required for this and will always be added onto your quote when you request a coloured t-shirt to give you the clearest, cheapest price available. 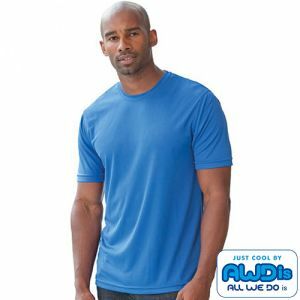 For UK branded t-shirts at great low prices that don’t sacrifice on print quality, suitable for any marketing campaign from sports clubs and charities to staff uniform, we’re one of the UK's leading merchandise suppliers. Complete with an experienced team of sales executives ready to help you.